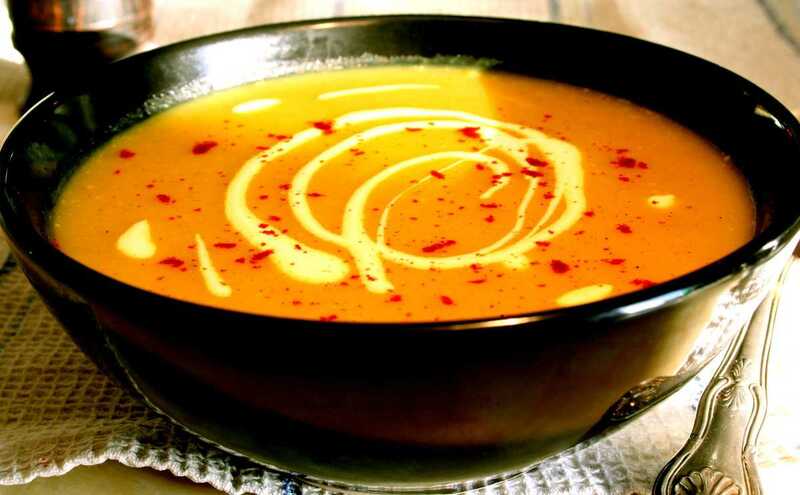 This curried parsnip soup is the perfect form of resistance against the winter cold; it will warm your aching bones and put a smile on your face, I guarantee it. The chilli gives it a fiery kick which really helps warm you up! The recipe has the unusual addition of coconut - just a hint - which may come as a surprise, but it really transforms the soup and makes it extra delicious. Heat the butter in a saucepan and add the onions and garlic. Cook gently for about 5 minutes without colouring. Add the curry powder and red chilli, along with the stock, and bring to the boil. Add the parsnips, potato and coconut and simmer with the lid on for 20-25 minutes or until the vegetables are tender. Liquidise until smooth with a blender. For garnish: try a swirl of double cream, and a sprinkle of smoked paprika. Or finely chopped red pepper and chives.